Conan The Barbarian – The Death Is a unusually story for the simple fact that Conan is vulnerable though out the arc, Struggling with his new found feelings of love and fear qualities that’s usually not shown in a Conan storyline, In the beginning of the 3 part issue Conan and Beilt along with her crew of pirates continue to sail the sea’s raising hell on all who come across the two. One day while sailing the western ocean the a worried Belit confides in N’Yoga wondering if Conan is truly happy with her at sea. N’Yoga warns her of the death and form that moment on Belit withdraws form conan and crew, hiding away in her sleeping quarters. Meanwhile Conan and N’Gora come across a slave passenger who looks to be gravely ill, not trusting the stranger they put him back on the boat they found him in. The next morning Conan wakes up to find the slave has been killed and crew all stricken with an unknown illness, quickly he disposes the body and boat of the mysterious slave and checks in on Belit who has also fallen ill of the same sickness the crew is hit with. As Belit lays in her death bed Conan promises to find the cure of the mysterious illness and ports at the docks of Bakal, with so much resting on his success of finding a cure Conan hits a local pub to contemplate on what he must do. After a brief encounter with the locals that was interrupted by Belit, who asks for their help to find a healer concern with her health Conan escorts her back to the Tigress not before telling him that he is free to leave her and the crew to die, for that’s not the burden she wanted for her love. Once they reach the ship the dockmaster gives Conan a hard time with the Dock saying news of Belit in town has spread around Bakal prompting Conan to pay an extra fee to stay unnoticed as he travels to the healer’s location. There Conan meets up with a local shaman woman and is given an unknown drink that causes him to fall in a dreamlike state where he is stuck under water and has to swim ashore to a endless desert, once he awakes form his sleep the shaman asks him what did he see in his dream to which he tells her of how he was drowning in the ocean due to his armor and had to fight his way up to shore, she states that maybe the drowning and the endless desert are signifying that the weight of this quest is holding him down, he agrees and takes a walk outside to contemplate on what Belit wanted him to do which is to leave her and be free of all of it. Unsure again on what to do he goes back to the pub he had fought in earlier for a drink, again he is confronted but this time its owner of the pub who says that her mother could help him on is quest to heal everyone on the ship. Back on Tigress he is once again confronted by the Dockmaster who this time warns Conan saying the wolves are at the gate and that Belit is a devil in the eyes of the people, angered Conan places his sword to the throat of the Dockmaster and threatens to spill his blood if he interferes. As the healer begins to cure everyone Conan and N’gora notice a crowd of hostile townsmen intended on ending Belit’s life, with sword in hand Conan and N’gora quickly get rid of them in what I say is one of the most barrack and violent skirmishes that I have seen as of late, at one point he’s hold a man he just gutted and tells the others to look at the man as he dies in his arms. The Arc ends with Conan hearing the screams of Belit but is unable to enter the room, as he sits outside the door waiting, the healer walks out saying that she is saved and that there were complications, saying Belit was 2 months pregnant and that the baby was lost. Shocked Conan tries to comfort Belit but she doesn’t want to speak to him, as he walks out of her chambers he and N’yoga glance at one other with the narrator implying that maybe the death was not towards Belit but towards her and Conan’s relationship. Final Thoughts: Conan The Barbarian – The Death is one of the best arcs I have read, ever since the Road of Kings Arc which was a favorite of mine , I’ve been waiting for someone to deliver another great arc and up till now I haven’t been satisfied with how arcs were written, not saying that the pass ones are terrible just that something was missing form each arc such as story and character development, but The Death in my opinion seems to cover all of those issues. 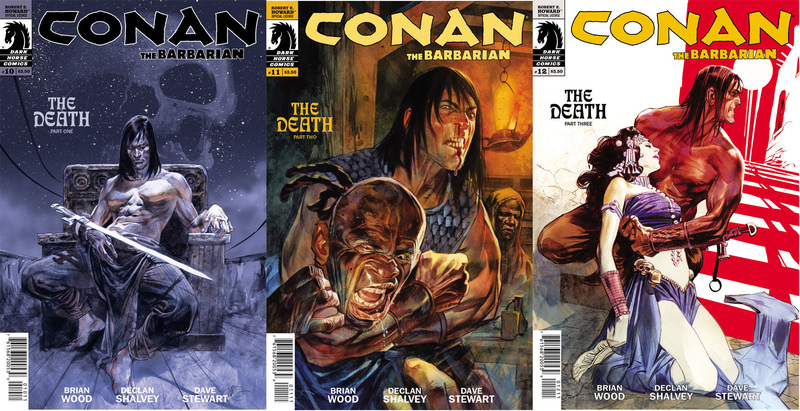 Writer Brian Wood does a masterful job in this arc, the way he has Conan struggle back and forth with his emotions. 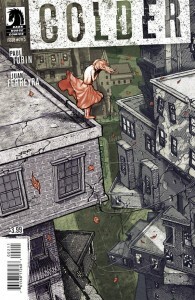 Each issue shows a different side of Conan such as fear, anger, joy, love all things that make us human. To be able to include all of those things in a 3 part issue is quite a feat. Artist Declan Shalvey and Colorist Dave Stewart captures and brings all of those emotions to life with his sketch heavy style that includes alot of shading and not so much detail, surprisingly this style fits particularly well for this arc. After falling deeper into the heart of hell to a place called Pandemonium which is the oringinal home world of Hellboy form there the issue opens up more as Sir Eric exlpain’s to him that his presents there has caused the princes and minsters of hell to fleed in fear of has return, thinking he would come to claim his throne, As they countiue through Pandemonium they reach a citadel and behind it the throne and crown of Hellboy’s father which now is rightful his to claim,But hellboy respectful declines saying he doesnt want any of it. As they make it to the end of the citadel Sir Eric zaps Hellboy to another part of pandemonuim but this time he is greeted by another who shows him The River Cocytus which is the place things form earth fall down too, in that river are fish which turn out to be souls wanting to be judge by The fisher of Souls who is said to have build Pandemonium with his own hands, as they watch the fisher work smashing away on a human like figure a curious hellboy asks what he is making to which the guide anwsers saying “The great Army of Hell, your Army”. 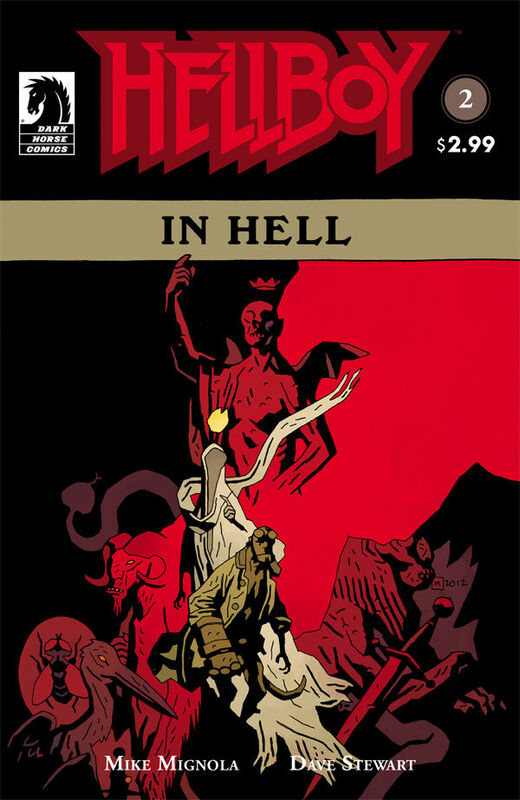 Once again Hellboy makes it clear he wants no part of the throne, But to him dismay he is taken to his place of birth and shown though telepathy other importing events…. 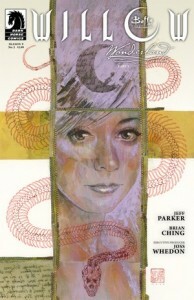 The San Diego Film Foundation announced today the headline and premiere films for the 2012 San Diego Film Festival. Sifting through 1,300 submissions from over 55 countries, the official films represent a broad spectrum of gripping narratives. Infused with new leadership and capital, the San Diego Film Festival is poised to raise this year’s profile with nearly 200 film screenings; including 11 World Premieres, 16 WestCoast Premieres, and 4 US premieres. Headline Films for the 2012 San Diego Film Festival include the Opening Night Premiere of Wayne Blair’s story of love, friendship, and music inThe Sapphires as well as the Spotlight Film The Oranges, directed by Julian Farino, with an all-star cast including Hugh Laurie, Leighton Meester, Catherine Keener, and Allison Janey. Closing films include Grassroots, directed by Stephen Gyllenhaal and starring Jason Biggs, Joel David Moore, Cedric the Entertainer, Cobie Smulders, Lauren Ambrose, and Tom Arnold and Quartet, a drama /comedy directed by Dustin Hoffman and starring Maggie Smith. The Horror Fest at Gaslamp, an exciting addition to this year’s festival, includes Martin McDonagh’s highly anticipatedSeven Psychopaths, with Colin Farrell, Woody Harrelson, and Sam Rockwell. World premieres include Robert Kirbyson’s survival story Red Line and Alonso May’s The Story of Luke, a quirky story of an autistic boys singular mission, starring Lou Taylor Pucci, Seth Green, Kristin Bauer, and Cary Elwes. US Debut’s include The Man Inside, a thriller centered on a young boxer trying to distance himself from his father’s gangster past and directed by Dan Turner, and the indie comedy Frankie Goes Boom with Ron Perlman, Chris Noth, Charlie Hunnam and Lizzy Caplan and directed by JordanRoberts, makes it’s West CoastDebut. The San Diego Film Festival will also be home to several unique events and tributes including a Gus Van Sant tribute and retrospective on September 27th, the first time his collective works will have been featured in a festival setting. Also on tap are groundbreaking panels, including a discussion and screening of the documentary Trek Nation featuring Rod Roddenberry (son of the late Trek TGV/film producer Gene Roddenberry), and panel discussions with top level film executives including a Film Engine panel, a 3D panel with Legend 3D, the largest 3D conversion company in the U.S., and seminars for aspiring filmmakers – includingpackaging, selling, and distributing in today’s new media market place – with dozens of respected industry leaders. The festival’s nightlife promises to be exceptional this year as well. From September 26–30, The San Diego Film Festival will transform the entire Gaslamp district into a cinematic paradise with dozens of screenings and parties, including an “Almost Famous” Block party and outdoor screening hosted by the original Pennie Lane on Friday, September 28th and many other exciting premieres, parties, and red carpet events. For a full schedule of events, visit www.SanDiegoFilmFest.com. Synopsis: It’s 1968, and four young, talented Australian Aboriginal girls learn about love, friendship and war when theirall-girl group, The Sapphires, entertain the US troops in Vietnam. Synopsis: Cecily, Reggie and Wilfred are in a home for retired opera singers. Every year, on October 10, there is a concert tocelebrate Verdi’s birthday and they take part. Jean, who used to be married to Reggie, arrives at the home and disrupts their equilibrium. She still acts like a diva, but she refuses to sing. Still, the show must go on… and it does. The San Diego Film Foundation celebrates the art and power of independent film by creating unique, interactive, memorable film-going experiences. The non-profit San Diego Film Foundation produces the annual San Diego Film Festival showcasing one-of-a-kind film premieres, informative industry panels, and filmmaker and celebrity events. The organization is devoted to the inspiration and talent behind each film, and turns every screening into a must-see event, complete with after-parties. Gambit has stirred a hornets nest, the nest belonging to the money man Borya Cich who has his hands in numerous super villain attacks and plots. Using his current job at the Jean Grey School to sneak into the gala and play around in the riches and depot hidden away he quickly finds himself knee-deep in the heat. Thanks to a quick save from someone enamored with his charm he’s able to break away but the he stays on him. Did I mention he also managed to activate an ancient relic that buried itself in him? Yeah he managed to do that as well. 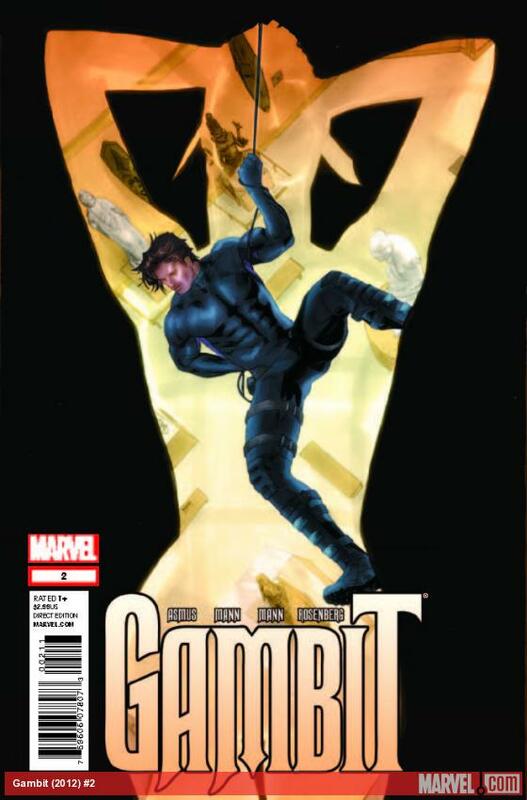 Gambit #2 “Can’t shake you loose” continues right from the path, he’s trying to figure out what this thing is and how to get rid of it and any option feels like a good start to him. Unfortunately, all roads really do lead to Cich so his future is going get an extra dash of difficulty trying to track down the origins and how to get rid of it before it gets rid of him. The issue is filled with snooping and thievery and Remy running into a familiar face in one of the most inconvenient times possible. Sounds like a wonderful trek right? 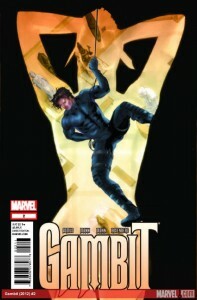 Gambit brings his passion for pretty things, messing with the bad guys and swooning the women to the table. It’s entertaining and action packed while retaining elements we’re used to seeing in current X-Men franchises right now. For X-Men fans hoping to see Gambit knee-deep in only trouble he can find, the series is gearing up to deliver on that expectation. Hang in for a few more issues and I think we’ll see some intense moments for our Cajun. Hawkeye is back, casual as ever and cool as a cucumber as he brings Kate Bishop into the picture. The young shooting ace for those unaware played a role filling in for Clint over the years. She’s back now but not as some majestic super hero or sidekick but just because she can, it’s a growing trend in this new series and a refreshing one. The thing to remember about this new Hawkeye branch is that it’s a refreshing take on character and storytelling. We’re not always going to be in a life or death situation with the galaxy at stake, when we come into Hawkeye #2 we see that as almost a sitcom introduction as their lives continue on without the reader. The issue itself gets momentum fast, we learn about things Clint has been up to since we last saw him tackle his own landlord. We also find out why Kate is looming around the apartment reading his paper and drinking his coffee after a dramatic opening panel. The problems never stop in the city and they’re about to explore of them firsthand as an undercover duo tackles a new mystery invading New York. If you enjoyed the easy and direct dialogue of the first Hawkeye, this new one remains just as interesting and even dives into back story around Clint in his youth. Instead of feeling like a regular action comic I can say Fraction and Aja have created a table piece in my eyes. 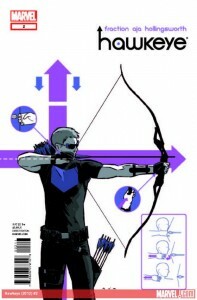 You read Hawkeye and you don’t just get a quick slap of adventure and a hook for a new issue, instead you get an opening, body and closure to the issue that doesn’t always rely on a hook to keep you going. In theory you could stop reading right now and be perfectly satisfied. That’s how well they’ve handled it and how much of a departure it is from other books running around right now. 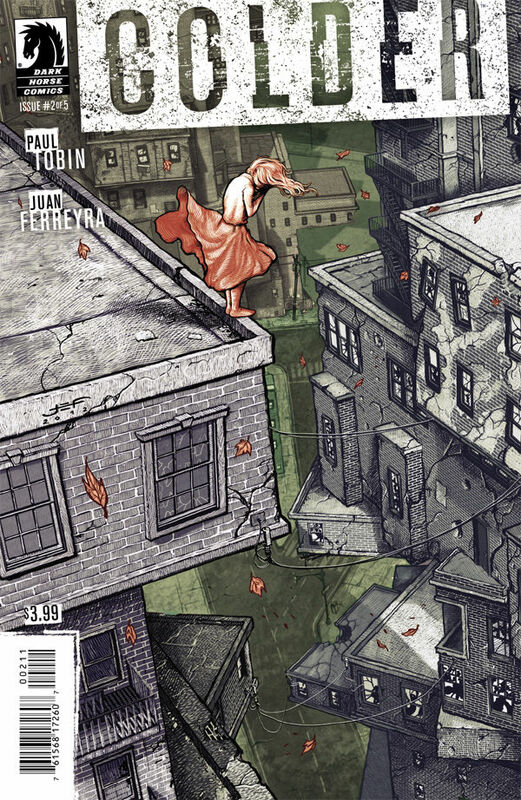 Carnivals, criminals, aspiring heroes and a hero all pack themselves into the short amount of pages in Hawkeye #2 and honestly I think fans should really give this series a shot because it doesn’t stop delivering good experiences. The adventures on Kesh continue with Spinner and Takara, the duo are left fighting for a way off the south pole only to stumble into powerful company. Given the numbers and toll taken on them from being in the sub-zero climate it’s fair to say they weren’t going to put up much of a battle. Issue 2 takes off as they move into the home of their captors, finding rich diversity within and a strong sense of the force to go with it. With so many neutral members occupying the city it’s puzzling to both of the new visitors on why this is. Unfortunately, it only takes a few scuffles to draw down the real force and get the story moving. New information is brought forward about the Sith on the planet and so much of the folklore that has been written to this point. Ultimate weapons, rituals and betrayal are all on the table and Spinner gives readers a chance to see behind his usual troublemaker ways into something much more defining and dangerous. For me I went from not a fan to wanting to slap him around for being ignorant but that’s just me. Miller does a great job developing character traits, I hate being in the middle on characters and the latest issue swept me right into a single decision. The back story on the world and battles that took place and the current state of affairs does help give greater understanding of the situation that culture faces and why they have focused on being in such a harsh climate. The little ends and pieces are all there to help channel where this is all going to wind up while also using a massive cliffhanger to torture people. 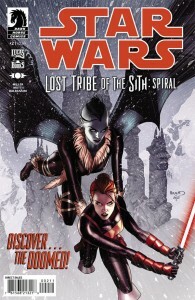 Lost Tribe of the Sith: Spiral #2 is a solid read and a fast one at that, Spinner and Takara really draw a line in the sand in this issue and all hell manages to break out during the process. Let’s just hope our warden can get her prisoner and his latest blunder under control before it’s too late. The last time we saw Axe Cop he had Goo Cop (a man made of goo) and Junior Cobb (a bow tie wearing gorilla) by his side fighting off all the bad guys. This issue begins with us meeting two bad robot brothers, Bu and Tu, from another planet. These guys are looking for trouble and won’t stop until they find it. Back on Earth, Axe Cop and his crew have their hands full as they meet the new super weird mash-up bad guy, Chee-Rex. I’ll let you use your imagination with this one! After some mouth springs, giant punches and transforming robots, Axe Cop and his friends save someone who could arguably be their biggest save yet; but, it doesn’t end there, oh no, theirs plenty more action. The evil robots devise a plan to make Earth’s citizens believe that Axe Cop is evil while also traveling through the universe destroying planets and picking up allies along the way to complete their evil plan of becoming the worst bad guys EVER! Axe Cop, refusing to sit back and let the robots win, devises a plan to figure out the robots plan and it’s a doozy. 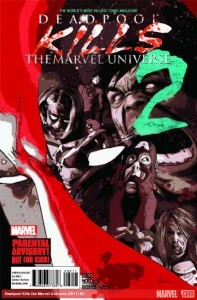 The universe is in peril and it looks like it’s only going to get worse! Robots, the Devil, golden mustaches, there is nothing this issue doesn’t have. Seriously, it’s all in here and it shouldn’t be so entertaining but dammit it is! 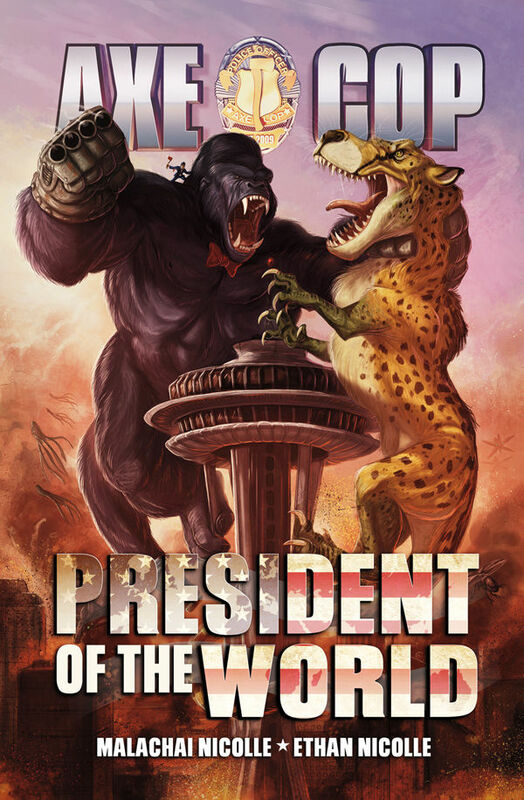 The next and final installment of “President Of The World” looks to be crazy and Axe Cop and his friends are going to have their hands full. This comic has so much charm and humor it’s unbelievable. Everything in this issue works, the writing is always funny and the art is really great, so much so that you can actually follow the story even if there weren’t any dialog, that’s pretty impressive. This is a must read and can really be enjoyed by anyone of any age. Don’t miss on Axe Cop, in a word its brilliant! Deadpool is on a killing spree, making a simple game of destroying the Fantastic Four and the villain who attempted to take control of his mind for his personal gains. Issue 2 of Deadpool Kills The Marvel Universe continues down the rampage and his inner inner voice that keeps driving him right now. It’s an ugly scene, Deadpool has left countless villains to their death and even heroes along with the chaos, he’s a walking executioner that seems invulnerable to any attack and makes any opponent victory into his own advantage. It’s really scary in a sense and at this point our guide The Watcher is no longer with us either, he’s actually just demolishing everything in his path. The Avengers act as the spotlight for this issue, their members slain and their hope shattered to send them into hiding, unfortunately no amount of hiding or numbers will be enough for someone this over the edge. The issue is pretty brutal and those in the younger age brackets that are sensitive to graphic material or really adore their heroes should really just avoid this one. He goes heads up with everyone and while the intensity of the kills range in graphic nature, it’s still really hard-hitting to see your favorites torn apart by a guy with everything in his head just jingling around. Fortunately every action has a reaction, those who were married or close to the departed have summoned their own hero if you want to label him that. An old rival and ally of Deadpool comes into the scene to cash in on the maniac rampage going on in the world and it’s going to heat up.